Mindvalley, one of the world's leading digital education companies in personal growth, recently launched its latest online academy Zenward, a platform dedicated to yoga as a personal practice and journey for all levels, on your own terms, at home or on the go. A yoga practice should essentially be about how the students feel about or what they want for themselves – it is their personal journey towards the goals that they choose to achieve. And that journey is how they choose to define it. Focusing on yoga as a holistic journey for the body, mind and soul, Mindvalley's own in-house experts – who are yoga instructors themselves – have joined hands with some of the world’s best yoga teachers, to create a personalised and affordable journey based on the student's needs and level, guiding them through the transformational journey of yoga. Their teachers include famous industry names such as Dylan Werner, Kino MacGregor, Erin Motz, Gillian Wagner and more. Zenward classes are hosted on Mindvalley's own learning platform, Elula – an elegantly-designed user experience that makes online learning seamless, user-friendly and mobile. 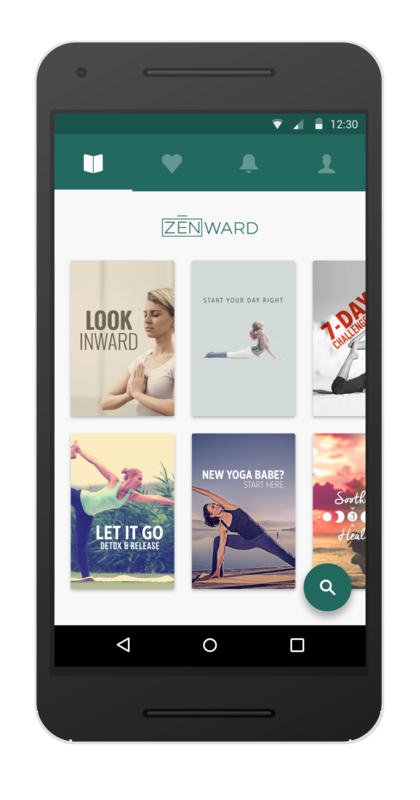 The Zenward portfolio features a large library of classes that caters to various styles, goals, moods and levels, ranging from 15-60 minutes per session. A new class is added each week, and those who feel like challenging their practice can also take up one of the yoga challenges offered on the academy. Its monthly membership fee starts at $10 a month, which is lower than the average cost of a single class in studios in the USA. And unlike most studios and gyms, Zenward charges zero cancellation fees – members can stop their subscription at any time without penalty. Zenward also comes with a mobile app to complement its desktop platform, available for iPhones, iPads and Android devices. "With Zenward, you can practice Yoga anywhere you want either in the comfort of your home, at work, while travelling or even outside in the park, any time you want on your desktop or your phone," said Mindvalley CEO and Founder, Vishen Lakhiani. In the video, The Truth About Yoga, which Zenward released to kickstart the launch of the platform, they shared their findings from a survey on Mindvalley customers to pinpoint popular reasons that are stopping people from exploring yoga or continuing their yoga practice. These reasons are also a result of the worldwide virality of yoga in the past decade, which – due to famous representations of yoga by various of social media trends, fitness entertainment and advertising campaigns – has also inadvertently created societal pressure for both prospective and practicing students to look and live a certain way, be of a certain age, and already embody the flexibility of an experienced yoga practitioner. "A yoga practice should essentially be about how the students feel about or what they want for themselves – it is their personal journey towards the goals that they choose to achieve. And that journey is how they choose to define it. No one gets to pressure them on what to give up or how much to take in. The most important thing is that you keep going back to your mat," added Lakhiani, who had the same doubts about yoga himself prior to co-founding Zenward. "So no matter what age, gender, size or personality you are, we want to bring yoga for everybody, as yoga should be." Another unique feature of Zenward is its element of engagement and community, hosted by yoga instructor and co-founder of the academy, Cecilia Sardeo, who gathers all Zenward students and teachers on TribeLearn, own Mindvalley's peer-to-peer social media platform that gathers communities based on career path and area of interest. "After completing 500 hours of yoga teacher training, I gathered together a community of 30-40 yogis in Mindvalley to join me in a 100-Day Yoga Challenge. It was so much fun, and we made so much progress. Not only physically, but mentally, emotionally, and spiritually. This is why Zenward is so important to me. It’s not just the perfect place to explore the physical side of yoga and stay in shape. It’s our yoga community," said Sardeo. To find out more about Zenward, its teachers and membership packages, visit http://www.zenward.com.